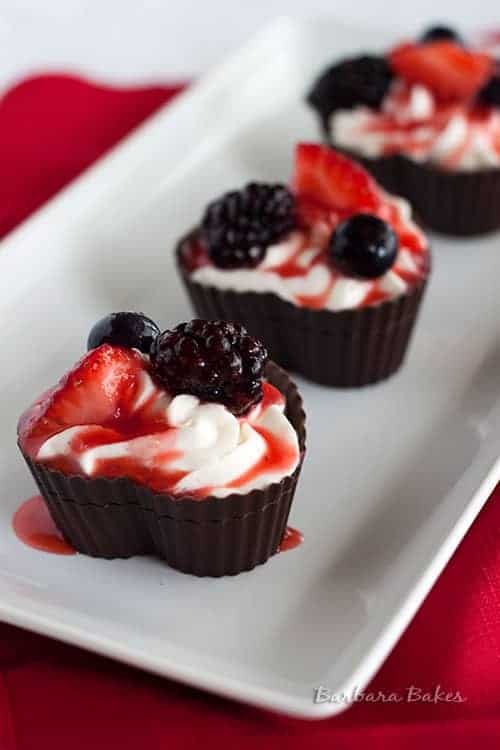 A semi-sweet, heart-shaped chocolate bowl filled with a creamy vanilla bean cheesecake mousse topped with a sweet berry compote. An easy-to-make, impressive dessert to share with the ones you love this Valentine’s Day. Making chocolate bowls to serve desserts in has been on my to do list for a while now. Many recipes create chocolate bowls using balloons that you blow up, dip in chocolate and then pop to create a bowl. I’m a little bit balloon-blowing-up-challenged, so I wanted to find an easier way. A few years back I bought some Wilton heart shaped silicone baking cups. I decided they would make a perfect mold for a Valentine’s Day dessert. Initially, I dipped the outside of the mold in chocolate, but it was hard to remove the mold, and the inside of the cup was prettier than the outside. So I switched and ladled chocolate in to the cup, then swirled it around to evenly coat the sides of the baking cups. Now the inside and the outside looked pretty, and they were much easier to remove from the mold. 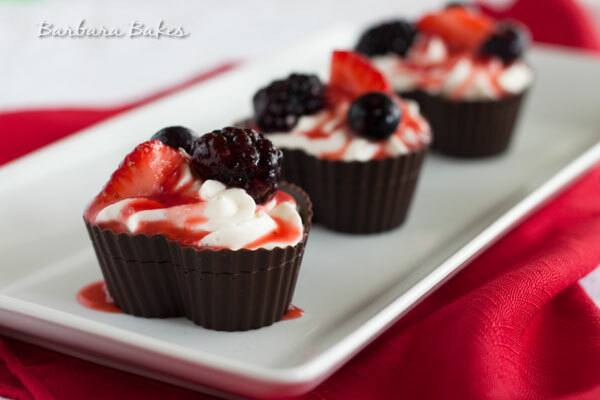 When I was searching for ideas for fillings for my chocolate hearts, I stumbled on the White Chocolate Mousse Cups recipe on Taste of Home. 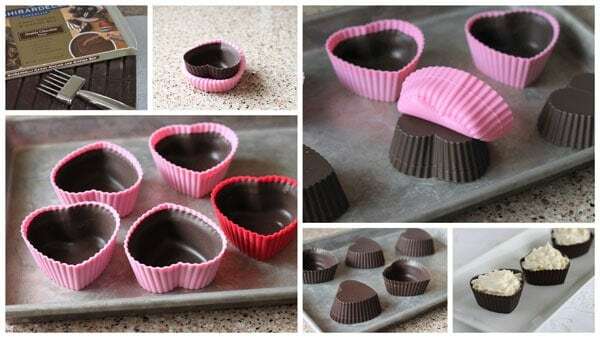 Their recipes gives directions on how to make chocolate cups in cupcake papers if you don’t want to purchase silicone molds. I decided to make a cheesecake mousse instead of white chocolate mousse, and I added a quick berry compote on top. There are several steps to make this dessert, but they’re all pretty quick and easy. And best of all, this beautiful dessert tastes as good as it looks. Place chocolate in microwave safe bowl. Microwave at 50% power for 1 minute. Stir thoroughly. Continue to microwave and stir at 15 second intervals until smooth and completed melted. Put 2 tablespoons chocolate in the bottom of a heart shaped silicone cupcake mold. Slowly rotate the mold at an angle so the chocolate evenly coats the sides of the mold. 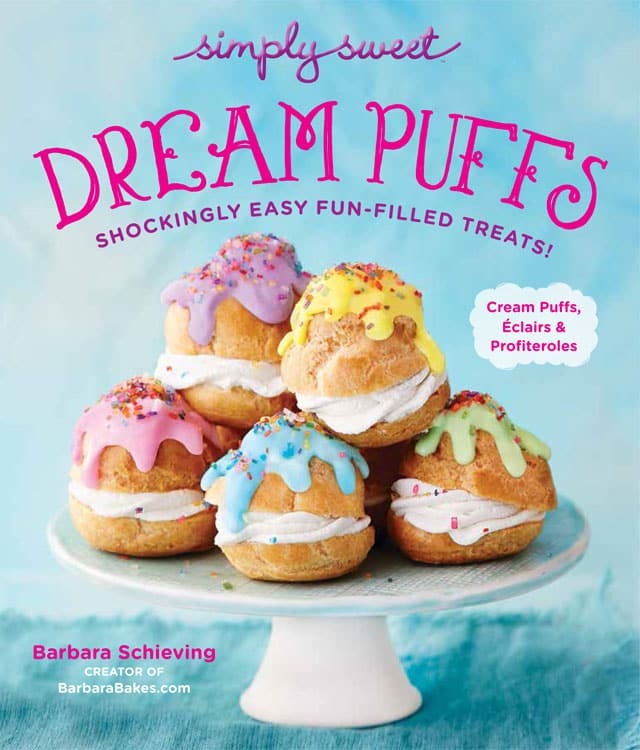 In a large bowl with a handheld mixer or in the bowl of a stand mixer, beat the cream cheese, sugar, and salt until smooth and creamy, about 2 minutes. Beat in vanilla bean paste. Slowly add the cream and beat until the mixture is light and fluffy, about 2 minutes. In a medium saucepan, mix together the frozen strawberries, sugar, and lemon juice. Over medium heat, bring to a boil. Reduce heat to low and simmer, stirring occasionally, until mixture thickens and is syrupy about 10 minutes. Transfer to a small bowl and let cool slightly. *I used Ghiradelli dipping chocolate. I recommend you use a good quality semi-sweet chocolate that melts wells. 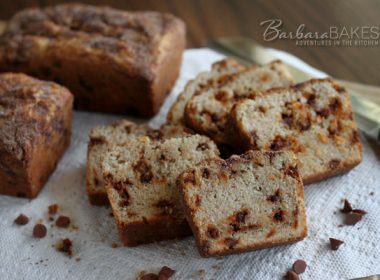 You can also use chocolate chips and add 1 tablespoon shortening. Never mind. I found my answer! How many chocolate cups will this yield? You say you use 1 cup whip cream. Is it whipped before adding it or do you leave it liquid? Thanks! Hi Barb – no, it isn’t whipped before adding it. Enjoy! 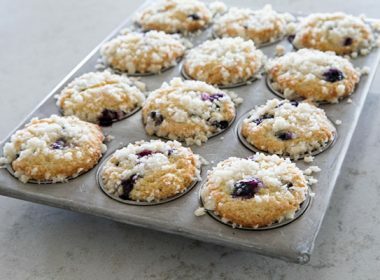 Can u make these ahead and then freeze them? This heart shaped chocolate cups look so delicious! 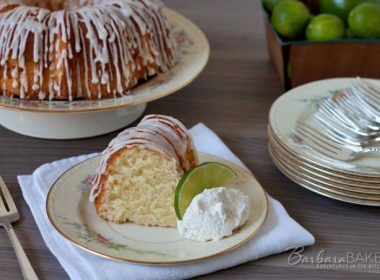 I believe they taste the same, Barbara! I was wondering what type of sugar is used with the cream cheese. 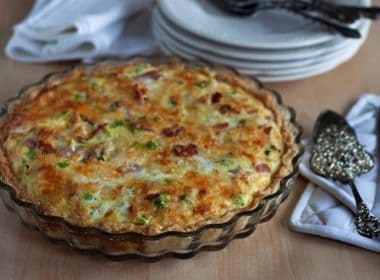 I am making this for my church group tonight. Hi Virginia – just regular granulated sugar. Enjoy! Are the frozen strawberries sweetened or unsweetened? 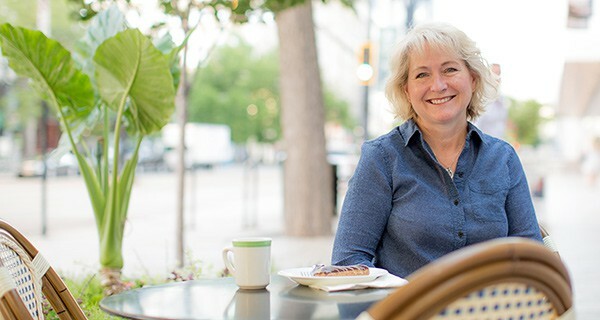 Hi Helen – unsweetened sliced strawberries. Enjoy! I didn’t see the yield on how many dessert cups / filling. How many chocolate cups should I prepare to use up all of the cheesecake filling? Hi Linda – it will make 8 cups. Enjoy! These are absolutely beautiful. 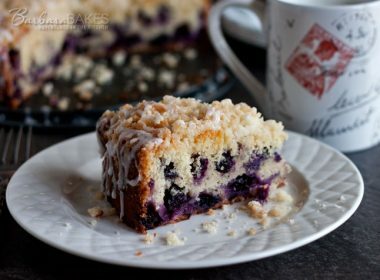 I was wondering if full fat cream cheese could be used for this recipe..or is there a specific reason that the lighter version is used? Thanks Mel – either will work just fine. I used the lighter because that’s in my fridge more often.